Today is dedicated to the big dilemma many digital nomads face: traveling solo vs coliving. Don’t forget to subscribe to receive over 20 posts filled with tips, tricks, and advice for digital nomads. Disclaimer: this post contains affiliate links, meaning that if you purchase through those links, I will earn a commission, at no additional cost to you. When you decide to embark on the digital nomad journey, you will usually be faced with two options: you either join coliving groups such as PACK, Remote Year, etc. or you go solo/with your significant other. There are pros and cons to both and to be honest, if you want to be a long-term digital nomad, you’ll probably end up doing both. There are a lot of misconceptions that coliving is only for extroverts, while solo traveling is for introverts. It’s wrong! Both lifestyles can be lived by both types of personality. I will talk in a future post about coliving for introverts, as I personally am an introvert who has successfully colived with a group of nomads in the past. But for now, let’s look at the cons and pros of traveling solo vs coliving from a more general perspective. Traveling solo can be a scary, yet amazing experience. Leave everyone behind, take your laptop, your suitcase, your spirit of adventure, and just go. I can tell you from experience, traveling solo is incredibly good for you especially if you’ve recently gone through major changes in your life. Maybe you lost a job or loved one, or maybe you recently broke up from what you thought would be the love of your life. A solo adventure is the perfect reset and recharge pill in so many scenarios. I know it was for me at a time when I felt like I was at the bottom of the pit. You get to do everything in your own rhythm. Explore, visit, eat, work, you can do it all in your own rhythm, without anyone telling what to do. You get to clear your ideas. There’s nothing better than taking walks and visiting new places to clear your head and your ideas. When you travel on your own, all that is a given. It provides a boost of inspiration – which is especially useful for bloggers, writers, and all creators in general. Bonus: you can immediately put the ideas on paper, as there’s no one interrupting. You can still meet new people when you feel like it. How? My favorite way is going to a coworking space. Most of them actually offer networking hours at least once or twice a month, and even if they don’t, the lunch break can have mighty powers. Share your favorite way to meet new people as a digital nomad in the comments! The costs might be higher, depending on your lifestyle choices. Sure, you won’t need a 4 bedroom apartment, nor a vila, but usually, even 1 bedroom apartments can be pretty expensive, especially in large touristic cities. Costs might also be higher if you don’t want to work from home and keep going to coworking spaces or cafes. If you are an extrovert who needs people, solo traveling can get lonely really quick. Sure there are ways to meet people, from coworking spaces, cafes, bars, and even Tinder, but it does require an effort and results aren’t always guaranteed. Some destinations are just better with groups – think Peru, Bolivia, and many more. They can still be done solo. They just might feel better with groups, especially if you don’t speak the language or know nothing of their culture. It might be harder to stay motivated. Notice the use of the word “might”. As an introvert, I don’t really have this issue, but I know many people who love coworking because seeing others work motivates them better. If you like to travel solo, or an in a period where you work from home, mostly on your own, and you don’t have a coworking space near you, or just don’t want to leave the comfort of your own home, AND you are a woman, I strongly recommend the Digital Nomad Girls Inner Circle. I have been a member for a few months. Besides the awesome community of like-minded ladies, they organize 3-5 coworking sessions per week (sometimes more, it depends on the availability of the hosts). These sessions are on zoom, they last for 2 hours and working is done in 4 pomodoro sessions, with 5 minutes breaks in between. 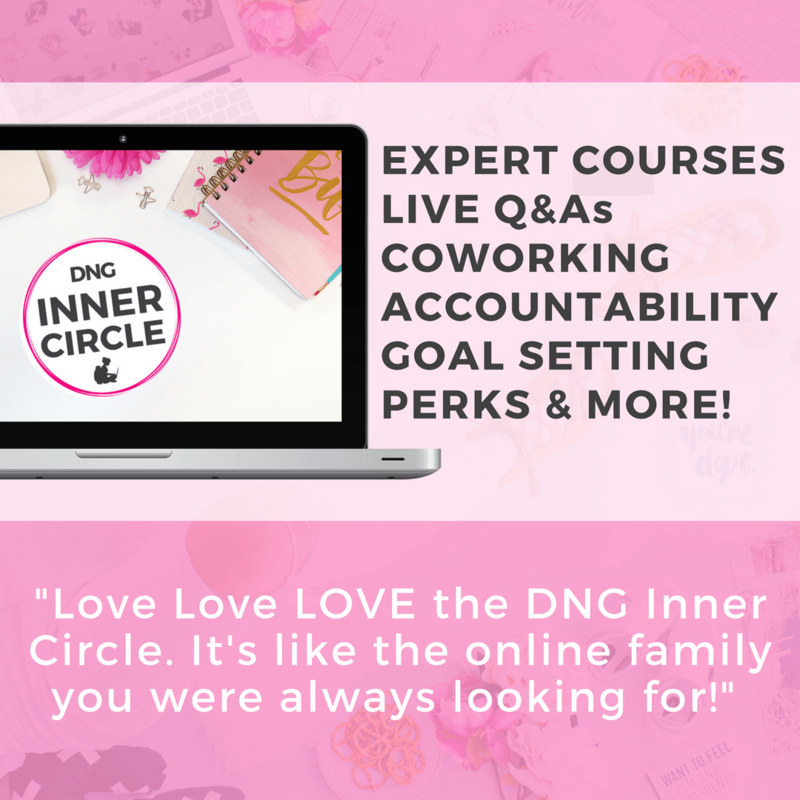 Did I mention there are also expert packs from WordPress experts, lawyers, branding experts, and more, and they are all available in the Inner Circle for a chat when you need advice? The DNG Inner Circle is opening its doors for the last time this year. Doors are only open for a short period of time every few months, so don’t miss this opportunity! You can also sign up to be on the waitlist and be the first to know when the doors are open! There are quite a few coliving options out there, some cheaper, some more expensive. I won’t list prices or anything here, cause it’s not a sponsored post and Google will tell you all about them anyway. I recently did a coliving month. Believe me, as an introvert, I was super scared, especially since I not only had to share the apartment but also the bedroom. My doubts caused me to sign a bit too late, so there were no private rooms left. Since I felt a now or never kind of thing, I decided to go for it. Anxiety was high – and I wrote all about that in a post in my blogging everyday challenge – but the overall experience was ah-mazing! Friends! Good friends! Effortless socializing. You will get to meet so many amazing people with whom you’d probably never cross paths in day-to-day life. Reduced cost of living. However, this is actually a tricky one, because depending on the coliving retreat you choose, the price might actually be a lot higher than it would be to rent a 4 bedroom apartment with 3 other people. Adventures! It’s easier to go on crazy adventures in groups. Plus, if you are the type of person that always thinks of the risks and tends to choose the safe way, you will most likely be drawn out of your comfort zone. You get to learn new things. Most digital nomads tribes will organize skillshares. And even if they don’t, just spending a month or more with a group of people will help you learn a lot of new things, either about work, life, their culture, and more. Work schedules aren’t always easy to balance. If you have to work from 8a.m. to 4p.m., but the others in your apartment work from 2p.m. to 10 p.m. things might get hard. It was the case for me and my most of the people on the retreat I did. The first week was hard, as everyone was partying till late and waking up late. Or they’d wake up early to go visit some touristic areas while they were crowded. HELLO FOMO! You either adjust your schedule so that you can work the same as the majority, or you reach a compromise with them. Most people will be reasonable, as they are all grownups with jobs to do, so they will understand. Balancing work and fun can get harder. Everyone comes up with ideas to have fun, there’s almost always a group going out, or gathering in to watch a movie, or drinking, or adventuring. How to say no to all of it? How to do it all without losing your job? It might be possible. And it might not. You gotta put it all in balance and think it through and decide what’s best for you. You might not like everyone. Your flatmates might be party people that are noisy all night long. In my experience, coworking leaders try to make it work for everyone, and they also try to mix people based on their interests – workaholics in one place, party people in another. But perfect separation doesn’t always happen and you might end up in the wrong setting. Be prepared for that! Earplugs and sleeping masks are usually magical in these situations. Traveling solo VS coliving? How about both? When traveling for extended periods of time, you might find that a healthy mix of both styles is perfect. You can go all out socializing and making friends when coliving, than enjoy a good time of introspection and hard work while traveling solo. Extroverts who aren’t able to see themselves going solo, can find the same benefits from going with just 1-2 people. I didn’t include in this guide these options, because I haven’t done them, I’ve only traveled in these two “extremes”. But I know extroverted nomads who go with a few friends after several coliving chapters and feel just like I do after a solo trip. I also know people in long-term relationships who felt the need to do coliving after a while, because they felt it was getting lonely being always just the two of them. So adapt to your situations. I hope this comparison helped you chose what you want to do. Soon I will write a post dedicated entirely to coliving for introverts as I know how scary it can be. So if this is you, stay tuned! Thought provoking! I don’t think I could do co-living at this point in my life. Wish I had done more traveling like this when I was younger! I love your blog. Great tips for an introvert who’s always worried about traveling solo. Will look for more post in future about coliving as introvert. Thank you 🙂 I will definitely write more on this topic! It’s scary at first, I know, but I’m sure you’d love it! Traveling solo sounds divine, however, I have pretty extreme social anxiety and often I am afraid to go alone, anywhere lol. I am working on this though! I am SUPER new at this blogging adventure and a lot of my posts are quite personal. I enjoyed reading this post, it gives me a lot to think about 🙂 Thanks for sharing!